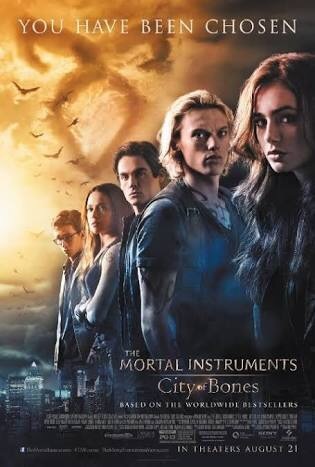 Have you seen Mortal Instruments? The movie starring Lily Collins and Jamie Campbell Bower? Unfortunately, due to having the sequel cancelled, it was turned into a TV show instead. When you repeat a movie by stretching it into a season, it just feels like you’re copy pasting the plot onto a rubber band and stretching it as far as you can. They say this show sticks to the book series, and well, that’s always an honorable thing to do. But it surprises me how much it’s sticking to the movie too. I didn’t think I’d say this but Dom Sherwood looked so much like Jamie Campbell, if Jamie worked out a lot, in the first episode. But here’s a little thought on Shadowhunters. It’s an enjoyable show. Don’t get me wrong, I quite enjoy it. In fact, I saw it in one sitting, and that’s something I struggled in doing with Jessica Jones. And Jessica Jones is a masterpiece. Shadowhunters is the show you watch when you truly have nothing better to watch. This is my go to after I ran out of the Originals episodes to rewatch while waiting for the latest Once Upon a Time episode to arrive. It’s fun. It’s young adult. It’s full of beautiful people. And it’s interesting. Some of us who truly fancy magic and cool fantasy, will dig this. As I have. Now let me address the problems with Shadowhunters. Character development. Firstly, I love character development. I love watching a character grow, and it doesn’t matter if it takes seasons to get there- when it’s written well, it’s worth it. Now, I probably should read the book series, because I can’t relate to most characters on this show. Clary, for instance, is irritating. She started from running around trying to figure out where her mom might have been taken to, to buying whatever the Shadowhunters were telling her within one episode. Jace was supposed to be a narcissist who cared about himself more than others, but it’s like, we rarely see that. 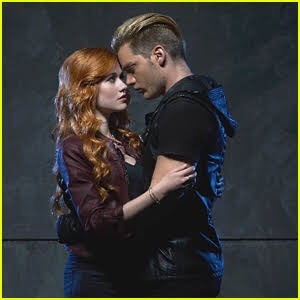 In fact, we got this brand new Jace of “I will protect you Clary” since day one. It was a full transformation I never got to watch. Simon was lovable in the movie, at least, but on this show I wanted him dead. He didn’t serve as any comfort or relief, he was just a guy who pined over his best friend while boning any other chick coming his way. Well, not as bad as it sounds, but the characters are poorly written. I do love Alec though. I believed him in every scene he was in. I also love Izy. Basically I think the Lightwood siblings are awesome. Apart from that, I can’t complain much. I think the effects are alright, they don’t look like they belong in scifi channel. I do hate the whole blur speed effect they put when a character is moving fast. I mean, why don’t you just follow the Flash? Plot line is supposedly close to the novel, which is why I don’t think I should say anything before I read the books. The setting is concerning. But it’s supposed to be dark and scary, and I’d just say they do what they can. 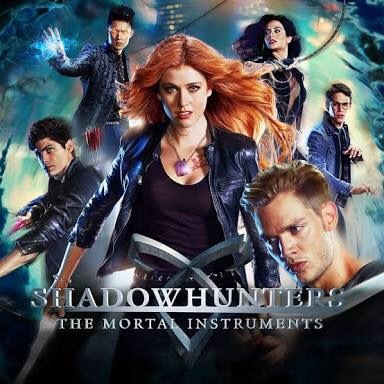 I give Shadowhunters a 6.5/10. It’s a show that’s fun to watch. Perhaps a guilty pleasure, and it is entertaining. If you don’t want to watch it, then watch the movie. It’s basically the same thing, only shorter and in my opinion, funnier. I thought so! I’m going to start reading the books to do some comparison! !